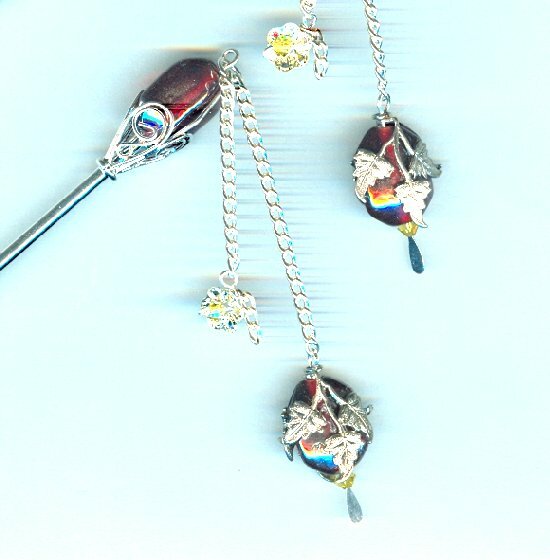 Beautiful lustered ruby Indian glass beads make these beaded hair sticks utterly irresistible. The beaded hair sticks also feature vintage silver plate leaf findings and chains, and citrine Swarovski crystals. 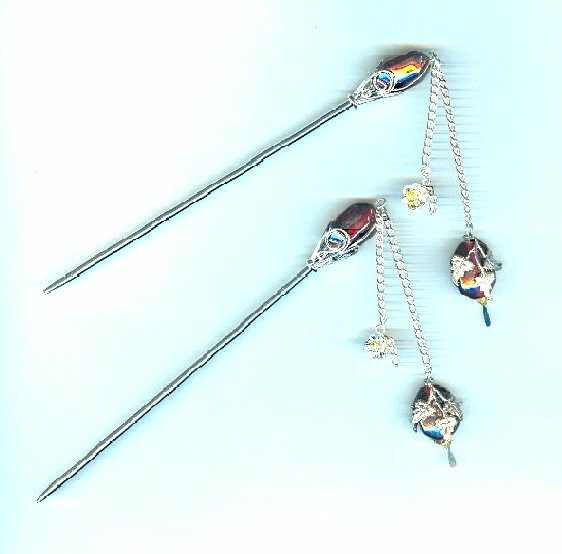 Two of the ruby beads are nestled in filigree baskets atop the silver plate brass hair sticks, making them a total of 5-3/4? long. The longer of the two dangles ends about 3-1/2? from the top each hair stick. 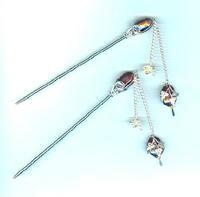 Once again, Sparkle Plenty comes through with a unique pair of beaded hair sticks.